The ambition of Senator Oluremi Tinubu, the lawmaker representing Lagos Central Senatorial District, to become the Deputy Senate President in the 9th National Assembly may not materialize as her husband, Asiwaju Bola Tinubu, national leader of the ruling All Progressives Congress (APC), as opposed to the move. According to Daily Independent findings, Tinubu is more interested in Lagos State producing the incoming Speaker of the House of Representatives, a position Femi Gbajabiamila, the incumbent Majority Leader of the House of Reps, is seriously eyeing. Credible sources said it was impossible for Lagos State to produce both the Deputy Senate President and the Speaker of the House of Representatives in the same dispensation. Tinubu’s efforts to ensure Gbajabiamila emerges the speaker in the current dispensation hit a brick wall when the lawmakers, in concert with their colleagues in the Peoples Democratic Party (APC), elected Yakubu Dogara, the incumbent speaker, to lead them. Speaking on the latest development, our source, an elected member of the House of Representatives, said Tinubu was leaving no stone unturned in ensuring that what happened in June 2015 when the National Assembly elected their leaders did not repeat itself. “Yes, the desire of Senator Oluremi Tinubu for the Deputy Senate President position is real, given her experience as a ranking female lawmaker, but it is also clashing with the desire of her husband to ensure Lagos State produces the speaker of the House of Representatives. “It is likely that the APC will zone the speakership position to the South-West as they did in 2015, and our preferred candidate is Femi Gbajabiamila, the current Majority Leader. Another party chieftain also said Tinubu had not discussed the issue of Senator Oluremi’s ambition with them, adding that “it is not feasible”. “He is more interested in Lagos producing the speaker. 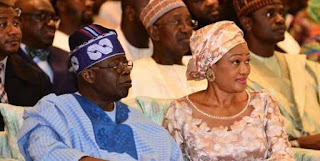 As it stands, Remi Tinubu’s ambition to become Deputy Senate President is not feasible,” the party chieftain said. In a related development, Prince Tony Momoh, a former Minister of Transport, on Tuesday said President Muhammadu Buhari would not interfere in the process of choosing leadership positions in the incoming National Assembly. Speaking with Daily Independent, Momoh, one of the national leaders of the ruling APC, said it was unfair for anyone to try to decide for the legislative arm of government its leaders when, by the constitution, they were an independent arm of government.